You can select up to 5 travelers in total. 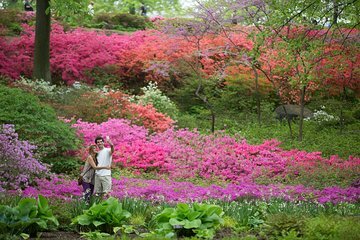 Discover some of the most Instagrammable places in New York on a private tour of the New York Botanical Garden, exploring the gardens’ extensive network of paths by golf cart. Visiting the gardens with an insider is a great way to find the best views in every season, and since the tour is curated for your private group, you’ll never feel rushed while creating the perfect shot.